There is something refreshing about bright colors paired with a fresh green. Green, although used mostly as a neutral can add energy and vibrance to other colors to truly make them pop. We used a combination of a few different designs for the table centerpieces. One of our most popular tall arrangements is a natural all around design atop our fluted vase. 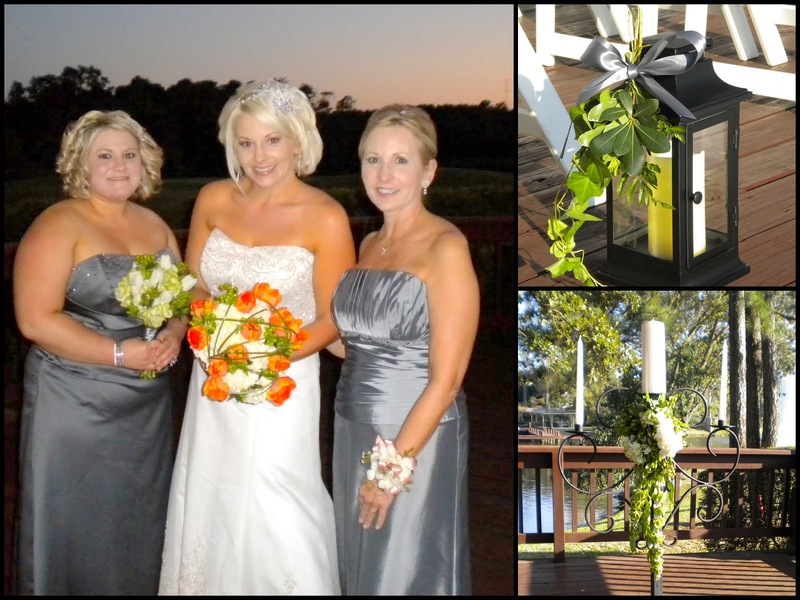 This type of arrangement can be done in any color combination and any style. The second style was a cluster of candles and blooms atop a layer of green sheet moss with candles in various heights of squares. 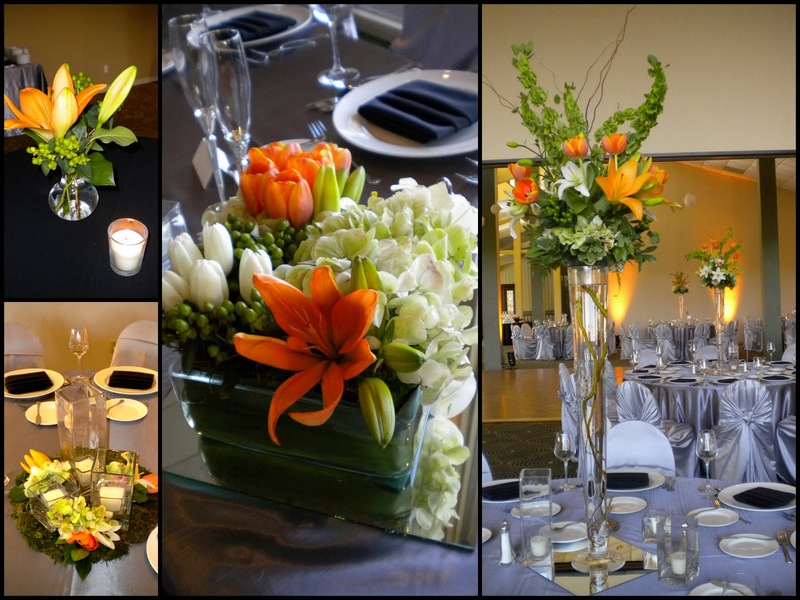 With gorgeous platinum linens the blooms shined and filled the room with beautiful color.